At Lewis Color, we offer many different services in addition to printing. Whether it's binding, finishing, or mass mailing services with Every Door Direct Mail, we're here to satisfy every need you have. 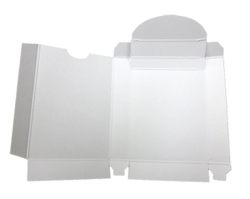 We can bind your product even if we didn't print it! 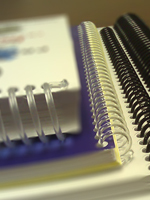 Click to view our various binding options and select which is best for your product! Mailing Services: Targeted mailing pieces are a valuable promotional tool, and Lewis Color offers all the mailing services you need to make them happen. 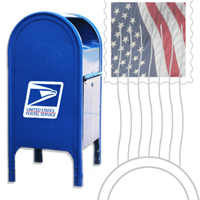 Not only can we print your mailer, but you can use our generic mailing services or Every Door Direct Mail to get your mailers to your targeted audience. Click to view more information and specifications for EDDM products. Sometimes there's more to a product than just ink on paper, so Lewis Color offers folding, die-cutting, adhesive application, and hand assembly services. Let us handle the leg work to bring your product to its polished, finished form.